News as a whole tends to run in twenty-four hour cycles, with most of it leaving our minds by the time we go to bed. The most important news of the day may sit atop the minds of the public for two, maybe even three days, but rarely more than that. The really, really important news, however, has a bit more sticking power. It may resonate through the crowds for weeks, possibly even months. The shooting at Columbine, for example, was at the forefront of broadcast news stations for weeks following the event. Sandy Hook Elementary School stayed with the people for months of mourning, and even still is referenced today. Lately, to the anguish of many, the news cycle has begun to push these events further down their agenda, like they aren’t as important as they used to be. Of course, the public still considers mass shooting as news, but as more and more of these events show themselves, it has become tiresome to give each of them the attention they deserve. They are, however, losing coverage at a rate that is worrisome, as they really should be more important now than ever before. Consider this statistic for a moment. As of this writing, 319 days have gone by in the year 2018. There have been 312 reported mass shootings in that same time span, according to the Gun Violence Archive. You don’t need to be good at math to know that means there has nearly been a mass shooting for every day this year. Out of those, how many have you, the public, heard about? Five? Maybe ten? The average citizen will rarely hear about more than that. There honestly isn’t any one organization to blame for this steep lack of coverage on such important events. Liberals would throw the fault onto interest groups such as the NRA, the administration of President Trump, or even the republican party as a whole. They would spin like a broken record, repeating the same statistics that are already plaguing those who pay attention to the news. Republicans would throw the blame back, and preach about how much work needs to be done to solve these horrific problems. Then they’d all go to bed, get a good night’s sleep, and start with a fresh news cycle the next morning. 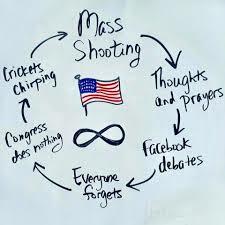 I’m starting to feel like a broken record myself at this point, as there will always be another mass shooting to report on, and always another opportunity to complain about how little is getting done to stop them. We as a society are beginning to grow numb to a stream of truly awful reports. If a shooting of similar magnitude as the Tree of Life Synagogue massacre in Pittsburgh occurred twenty years ago, it would’ve been front page news for weeks following it. However, in the short-attention-spanned age of 2018, it only lasted a couple days. 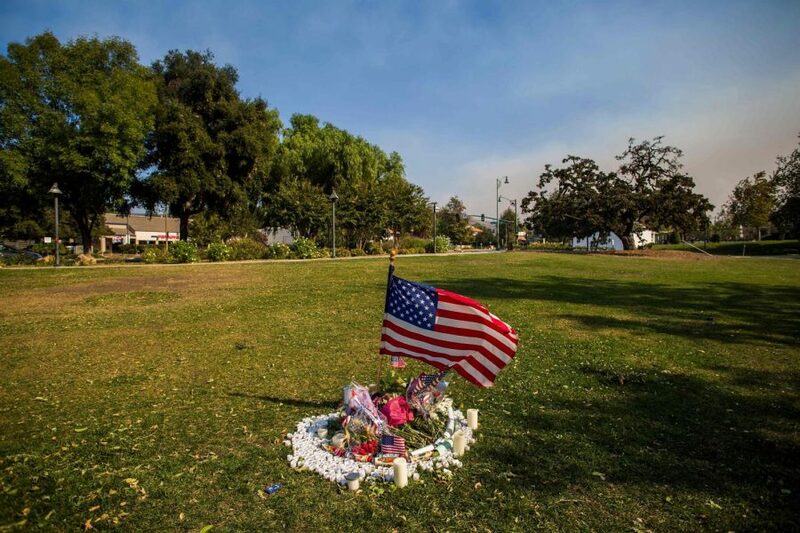 Newsrooms had to stop reporting on it, to make room for the new, even worse shooting at Thousand Oaks, California. It’s a vicious cycle, and there appears to be no end in sight. Keep bringing it back to the forefront. It needs to be taken a lot more seriously, needs to be addressed, and something needs to be done to prevent mass shootings from becoming just a normal, ho-hum daily occurrence. Hearing the statistics is staggering, but most people seem to turn a deaf ear to how problematic and frequent these events are, and we’re just adjusting our expectations to accept the problems, rather than trying to prevent these occurrences. It’s bad enough that we must battle our foreign enemies who have been on the attack these past few days, but we must refuse to just get complacent about what is happening in our own country, at our own hands. Keep doing what you’re doing, and let’s just hope that people are listening. Awareness is the key!